Spacious 3br apartment with Marina View. Jumeirah Beach Residence square kilometers of mixed-use area that bounds with numerous apartments for rent varying between all sorts and types. Buildings of Jumeirah Beach Residence stretch across the shore of Arabian Gulf in Dubai emirate. It’s a waterfront residential community that consists of 40 towers ranging in height and style of structure to create a unique skyline. 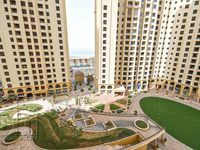 Jumeirah Beach Residence or as known as JBR was launched by Dubai Properties, an affiliate of Dubai Holding. The project’s groundbreaking took place in 2002 and it was completed in 2010. JBR consists of 6 residential blocks, it has also 5 hotels of the world’s best hospitality brands scattered throughout it. 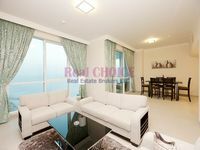 Designed to accommodate around 15,000 people, there is a wide set of apartments for rent in Jumeirah Beach Residence. The available apartments vary in size type between small studios to vast penthouses. Most of the residential units in the area offer magnificent view of Dubai horizon and the sea. They are attached with a large set of amenities including swimming pools, saunas, steam baths, fitness gyms, retail centers, and many other. With a total investment value of 6 billion dirhams, the community incorporates many recreational venues that draws a lot of visitors every day. 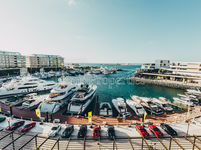 Life is unequivocally enjoyable in JBR, it’s in the center of Dubai and very easy to access, it overlooks the sea, and it’s near many recreational venues and beach resorts. It’s always one of the first options for those looking to stay in the city either for short or long durations. JBR has The Walk project. It’s a long strip that stretches for 1.7 kilometers across the community. The Walk is a perfect destination to enjoy a relaxing promenade near the sea, it’s also packed with many fancy dining areas, cafes, and other venues. It was developed by the project’s main developer Dubai Properties, its completion was in 2008 and received the first visitor in 2009. There is The Beach which is a large scale retail complex that bounds with a plethora of retail spaces in addition to food and beverage outlets and entertainment facilities. The Beach has also parking lots and it’s mainly composed from four distant plazas. Constructed by Meraas Holding, The Beach complex is owned by Sheikh Mohammed bin Rashed Al Maktoum, the Prime Minister of UAE and the Ruler of Dubai. 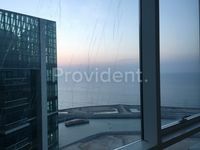 An ample of apartments displayed for rent in Jumeirah Beach Residence project is available for all users on Just Property website. It’s boasts a totally new experience in property search that’s way easier and more facilitated to help users find what they really need. It’s only a matter of minutes until you find the perfect fit for your demands. Either single, couple, or large families, all types of residential options are available accompanied with images, list of specifications, and exact location to convey a clear image for viewers. 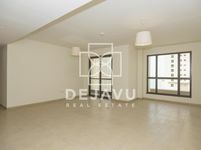 The displayed apartments in Jumeirah Beach Residence are provided by experienced agencies who proved to be very successful in catering what users need and achieved very positive reputation in this respect.